"Wait! Don't pour out that wine cooler! 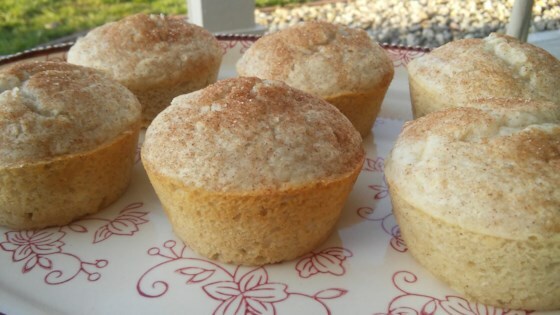 Try making these easy three ingredient muffins instead! I think berry flavored coolers are the best." Preheat oven to 350 degrees F (175 degrees C). Lightly grease 6 jumbo muffin cups. In a large mixing bowl, combine baking mix and sugar. Pour in wine cooler and mix well. Spoon batter into prepared muffin tins. Bake in preheated oven until golden, about 15 minutes. Remove muffins from tin and place on cooling rack. These muffins were a breeze to make and who would of thought that wine cooler would taste so good the morning after! I used strawberry daquiri cooler for this and it was AWESOME!!!! Thanks for a keeper. VERY EASY TO MAKE AND QUITE TASTY. ADD SOME COOKING JELLY IN THE BATTER AND IT IS EVEN BETTER. You want an EASY recipe, you got it! It also tastes great. When I used this recipe, the muffins came out incredibly bland. It seemed like the only thing the wine cooler did was make them moist and Pepto Bismol pink.